An automated workplace is a productive one. That’s why forward-thinking businesses are implementing automation at every stage of their workflow. SMS is one of the fastest growing channels to offer this service with keywords and triggers maximizing business efficiency. SMS keywords offer a personalized and fast way for you to interact with your customers. SMS can be integrated across your marketing, CRM, lead generation and sales software – opening the door to a new world of optimization. What are SMS keywords & triggers? SMS keywords and triggers allow users to activate designated functions by sending a text message containing a custom word to a mobile number. SMS triggers are most commonly used with 2 Way SMS messaging to create more meaningful and interactive communication with customers. Keywords can be anything as simple as a single letter, ‘Y’ to represent yes or a short phrase such as, ‘send me alerts’. 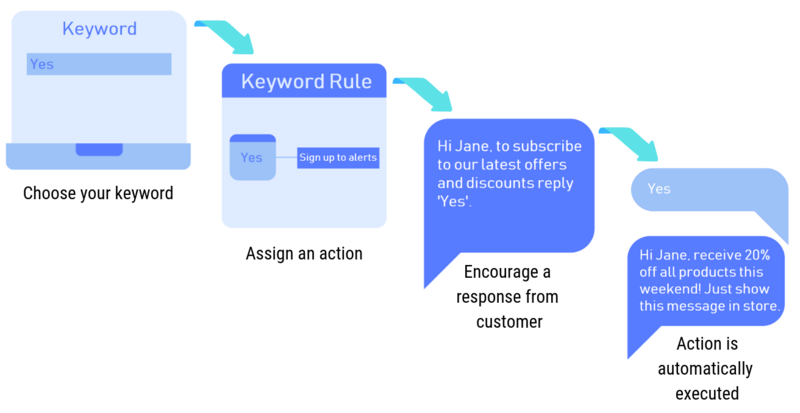 Auto-responses can be triggered from keywords to deliver greater levels of customer service whilst saving you valuable time and resources. How do SMS triggers work? SMS triggers require the use of a web SMS platform or an API integration to manage your keywords and reply rules. Online SMS software such as SMSGlobal’s MXT platform makes setting up your automated SMS workflow quick and easy. 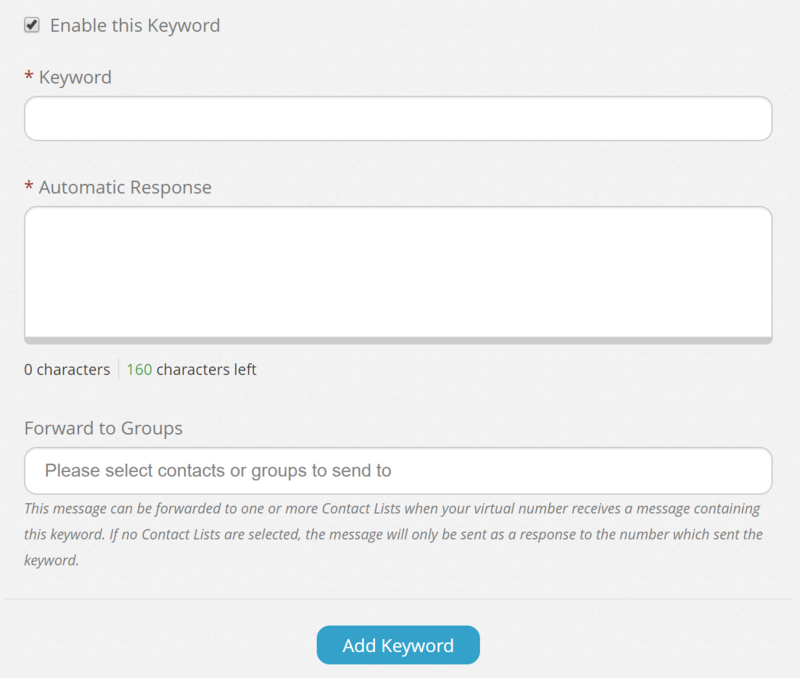 Simply type in your desired keyword or phrase, create an auto-reply and watch the magic happen! For developers and tech gurus alike, API integration offers more advanced SMS automation. You can connect SMS keywords with existing CRM software and other internal/external processes. What can keywords be used for? Keywords and triggers is the perfect function to manage subscriptions to your SMS communications. Offer various reply options to segment your customers to deliver richer and more relevant content. Email surveys - boring. Feedback via the phone - too long. Hard copy form - outdated. The solution? SMS surveys. Quick, easy and now automated thanks to keywords and triggers. Get instant feedback about your service by implementing a two way SMS survey today. Text-to-win competitions have been dominating the market for over a decade. 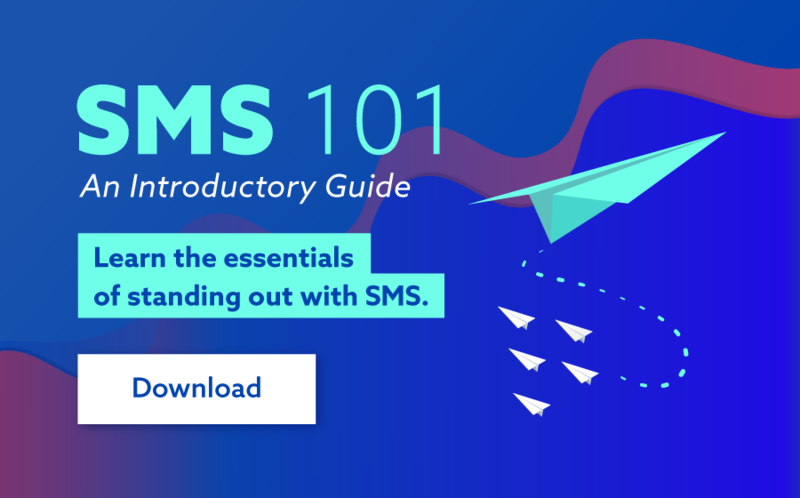 With the help of SMS triggers you can run an effective text message competition whilst growing your subscriber list. Simply set up a dedicated number, advertise this number as well as the keyword required to enter and watch the entries roll in! Missed bookings and appointments really put a dent in the ROI for the hospitality and service industries. With an open rate of 98%, SMS is the perfect platform to ensure your business isn’t wasting time and resources. Designing a simple ‘reply YES to confirm your booking’ automated SMS can dramatically improve attendance rates. Set up special offers for customers by advertising a keyword that triggers an SMS coupon. 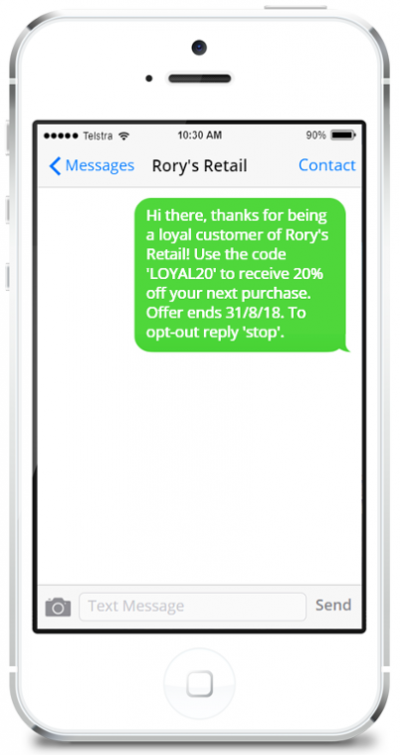 Auto-replies will instantly send consumers their SMS coupon code which reports show have a 1000% higher redemption rate than print coupons. With SMSGlobal’s MXT software you can segment these customers into a contact group to begin a loyalty program. When running a promotional SMS campaign it’s vital to comply with anti SPAM laws and regulations. Ensure you offer an opt-out option on all SMS marketing messages by requesting recipients to reply ‘stop’ to opt-out. You can automatically delete opted-out contacts with just one click of the button in MXT. Integrating SMS keywords and triggers with your existing software can have endless possibilities. Combine automated SMS triggers with your CRM today by using our advanced suite of API documentation. Generating and responding to leads is a highly time-oriented task. The difference between contacting a lead within 10 minutes or 1 hour can easily result in the loss of a sale and long-term client. Encourage potential leads to message your dedicated number if they’re interested in your product or service. Keyword and trigger integration will then assign the lead to a member of your sales department in just a matter of seconds. Every successful sales department in the world implements a lead segmentation strategy. With automated keywords you gain a greater understanding of a lead’s potential to spend based on levels of engagement. This data filters directly into your existing CRM and the lead can be automatically assigned to the appropriate salesperson. SMS triggers present an efficient way to manage your customer support system. Users can text in their area of difficulty such as ‘delivery’ or ‘web’ to automatically generate a ticket and be assigned to the relevant support staff. Smart homes have grown rapidly over the past few years as tech companies continue to release new smart devices. From smart displays, voice assistants, smart bulbs, WiFi cameras and more - our homes have become smarter than ever before. Everyone knows you can control your smart home by voice control or mobile applications. But did you know that you can control your devices by SMS? After signing up with MXT, all you’ll need is an account with If This Then That (IFTTT). 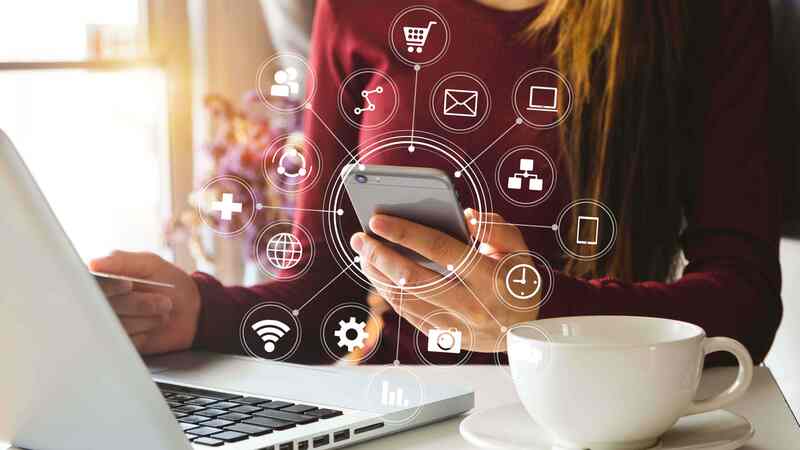 IFTTT allows you to connect all your smart devices with other software. Just like SMS triggers, you can set up rules to control your lights, speakers and cameras. Set up your IFTTT rules to trigger your devices via a URL, then in MXT assign incoming messages to be directed to the relevant URL and begin controlling your smart home from anywhere in the world! Emergency situations require the quickest and most direct communication method. The fire warden or duty manager in your office can alert all staff of an emergency using SMS triggers. Set up a keyword such as ‘evac’ to push a pre-saved message to all employees that informs them of the evacuation whilst also providing directions to the assembly point. 4. Enter your Keyword and Automatic Response, choose your Contacts, click Add Keywords and let our automated SMS function take care of the rest! For more advanced SMS keyword and trigger functions contact our tech team today.